Trumpet Sheila Maurice-Grey, trombone Rosie Turton, alto saxophone Cassie Kinoshi, tenor saxophone Nubya Garcia, guitar Shirley Tetteh, double bass Inga Eichler & drums Lizy Exell. 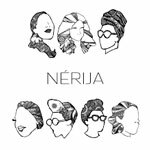 Recently nominated for Jazz FM Breakthrough Act of the Year 2016, Nérija are a collective of up and coming, London-based musicians playing exciting and original music inspired by Jazz, Hip Hop, Afrobeat and South African Township. Together they have toured across Europe and the UK in addition to performing alongside top UK jazz musicians such as Nathaniel Facey of Empirical, pianist Zoe Rahman, and supporting Jazz Jamaica at the renowned Ronnie Scott's Jazz Club. 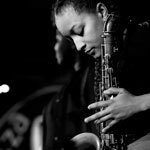 Nérija's most recent performances include UK festivals A Love Supreme, Latitude, Brainchild, Manchester Jazz Festival, Jazz Re:Fest and EFG London Jazz Festival. At the end of 2015, they also had the incredible opportunity to support Hypnotic Brass Ensemble, their Manchester Jazz Festival set being featured on BBC Radio 3. 2016 has seen them release their self-titled debut EP, perform at the Barbican Centre and Cadogan Hall, as well as sell out their headline performance the EFG London Jazz Festival. Go back to the London Jazz Festival 2016 home page.